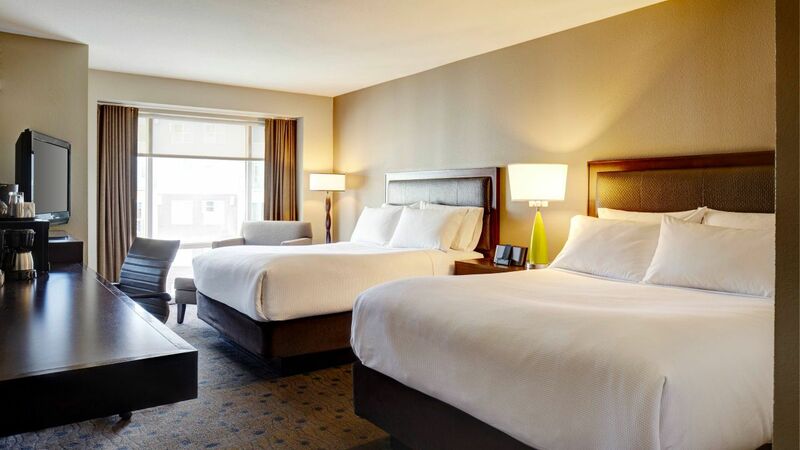 Whether you’re visiting Villanova University or in town for business, spacious rooms and suites at our Hyatt House hotel are sure to delight any traveler. 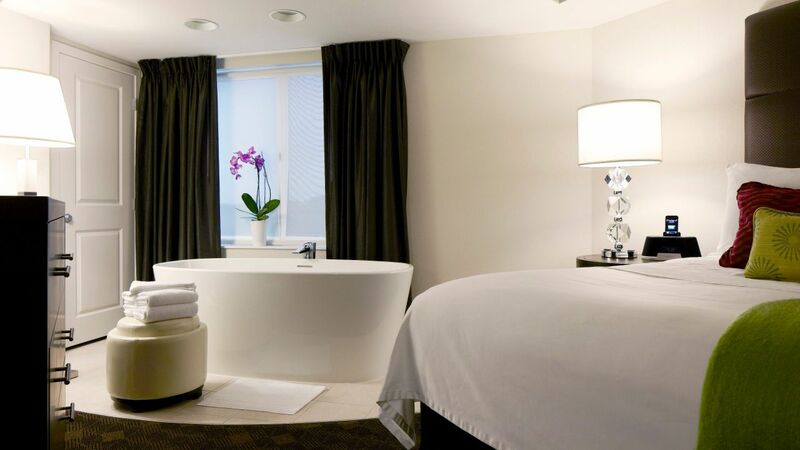 Discover smartly designed rooms and suites ideal for your extended stay in King of Prussia, complete with modern lifestyle amenities and contemporary décor. Unexpected touches of luxury are at every turn for added convenience. 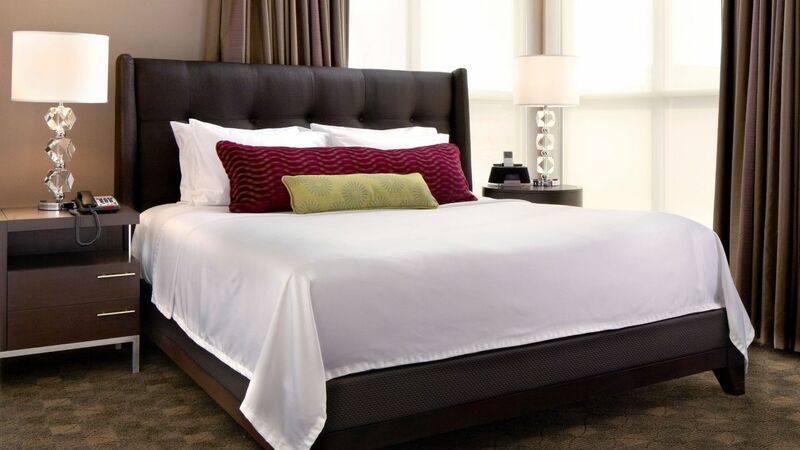 Relax in a plush Hyatt Grand Bed® or unwind at the H BAR or indoor whirlpool. You’ll settle right in with our on-site laundry services and 24-hour Workout Room no matter how long you’re staying with us. Unwind in this 704-square-foot suite, with one king bedroom, a luxurious soaking tub, a living room, and a dining area. Featuring 487–507 square feet of space, this one-bedroom suite has one king bed, a sleeper sofa, and a fully equipped kitchen. 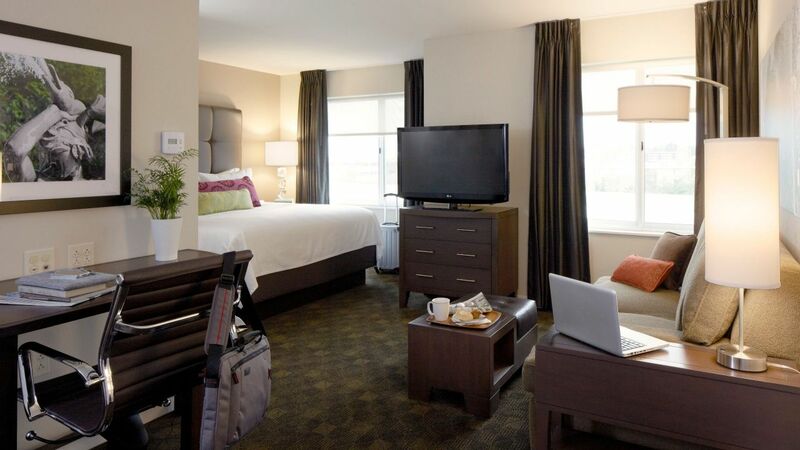 Relax in this spacious room featuring one king bed and a separate workspace, all set amid 325 square feet. 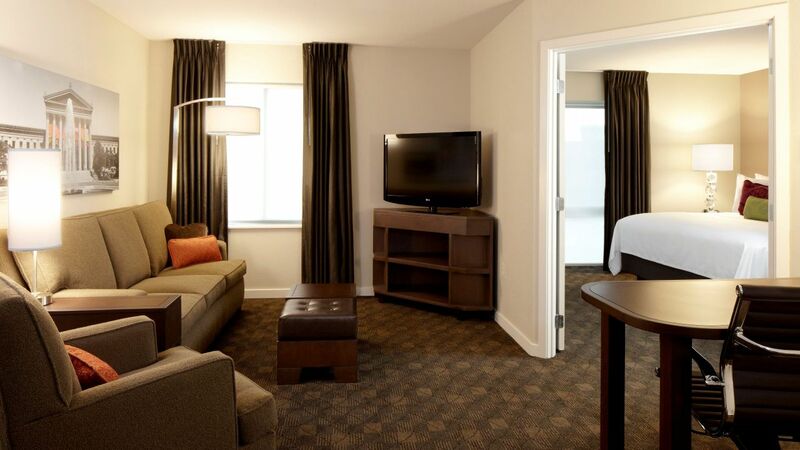 Unwind in this room with 361 square feet of space equipped with two queen beds and a separate workspace. This spacious studio suite features 505 square feet of space with one king bed, a living area with sleeper sofa, and a fully equipped kitchen. Relax in this spacious studio featuring two queen beds, a living area, and a fully equipped kitchen, all set amid 497–526 square feet of space. This spacious 510-square-foot accessible suite features one king bedroom, a living room with sleeper sofa, and a fully equipped kitchen. Unwind in this spacious 361-square-foot room, with two queen beds, a sleeper sofa, and a separate workspace. This 510-square-foot accessible studio suite features one king bed, an accessible bathtub, a sleeper sofa, and a fully equipped kitchen. Relax in an accessible studio suite featuring a 526-square-foot open floor plan, with two queen beds, a sleeper sofa, and a fully equipped kitchen.